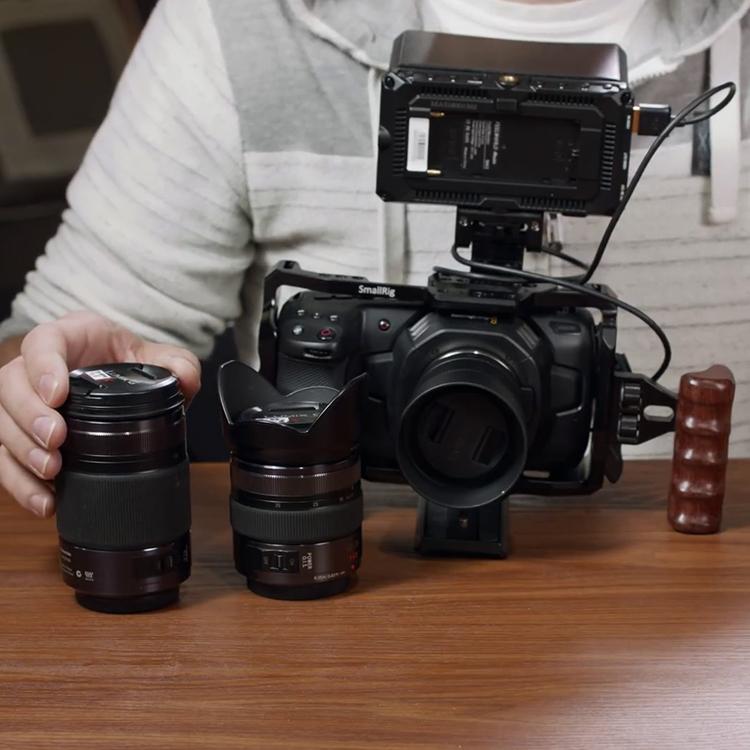 The new Atomos Shogun 7 was just introduced to the world. 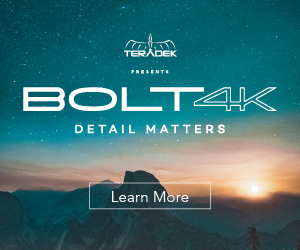 Billed as the ultimate 7-inch HDR monitor, recorder and live switcher, the brand new monitor/recorder uses the very latest video technologies available featuring a truly ground-breaking HDR screen with 1500nits of brightness, 15+ stops of dynamic range, and an astounding 1,000,000:1 contrast ratio. The Atomos screen utilizes a unique combination of advanced LED and LCD technologies which together offer deeper blacks with high brightness and vivid color performance. The panel is also incredibly accurate, with ultra-wide color and 105% of DCI-P3 covered. Shogun 7 comes with the latest operating system and user interface, which is currently present on the Ninja V.
The all-new device records the best possible images up to 5.7K at 30fps, 4Kp120 or 2Kp240 slow motion from compatible cameras, in RAW/Log or HLG/PQ over SDI/HDMI. Footage is stored directly to reliable AtomX SSDmini or approved off-the-shelf SATA SSD drives with data rates of up to 1.8Gb/s. There are recording options for Apple ProRes RAW and ProRes, Avid DNx and Adobe CinemaDNG RAW codecs. 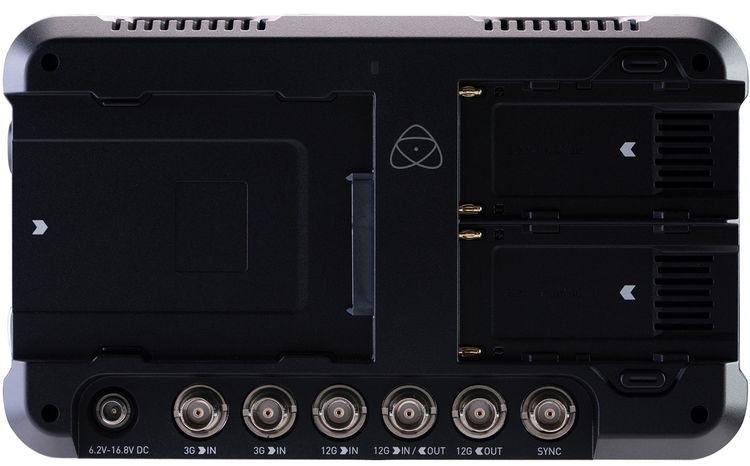 Shogun 7 has four SDI inputs plus a HDMI 2.0 input, with both 12G-SDI and HDMI 2.0 outputs. On top of that, Shogun 7 eliminates the need for a separate audio recorder. Users can add 48V stereo mics via an optional balanced XLR breakout cable, select Mic or Line input levels and record up to 12 channels of 24/96 digital audio from HDMI or SDI. There are dedicated audio meters, gain controls and adjustments for frame delay. You can monitor the selected stereo track via the 3.5mm headphone jack. 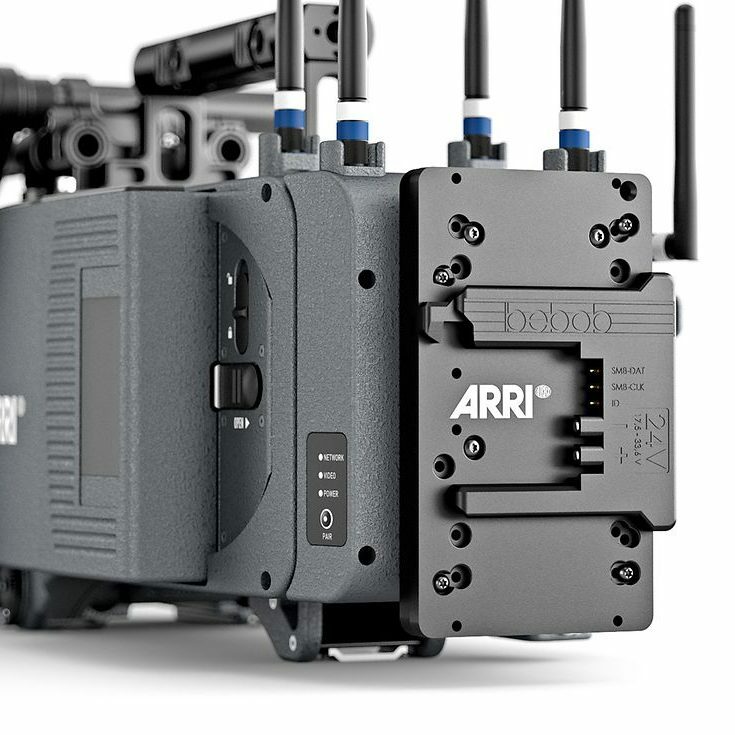 Furthermore, the completely new body of Shogun 7 has a sleek Ninja V like exterior with ARRI anti-rotation mounting points on the top and bottom of the unit to ensure secure mounting. Shogun 7 is also the ultimate portable touch-screen controlled multi-camera switcher with asynchronous quad-ISO recording. You can now switch up to four 1080p60 SDI streams, record each plus the program output as a separate ISO, then deliver ready-for-edit recordings with marked cut-points in XML metadata straight to your NLE. The current Sumo19 HDR production monitor-recorder will also gain the same functionality in a free firmware update. 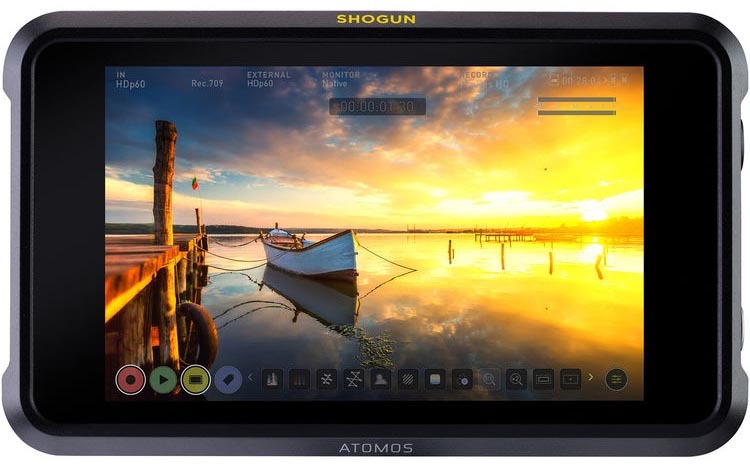 Atomos Shogun 7 will hit the market in June 2019 retailing for $1,499 from authorized Atomos dealers around the world. 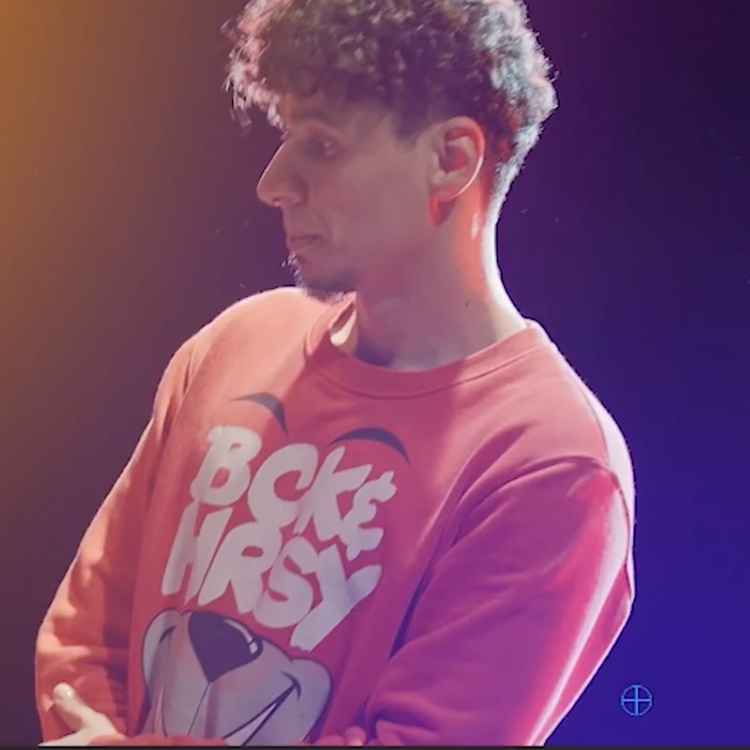 You can place your pre-order by using the link below.